Petal Back Clothing was invented in Australia by a former fashion designer, Linda Dugan. Linda created the simple yet practical petal back concept when she could not find suitable clothing for her Grandmother, at that time in her care. Petal Back Clothing features soft seams, no fasteners and a range of attractive designs, ensuring ease of use and dignity for carers and wearers. 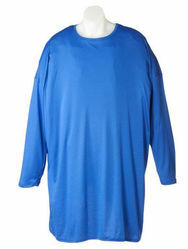 Petal Back Clothing is now a leading range in aged care adaptive clothing, with sales all around the world. Most recently the range has been extended to include bariatric care. Our full range is available under the NDIS.